Some experts say that “bullying in childhood throws a long shadow into victims’ adult lives.” But for Philip Galit, a.k.a. Shadow Ace, a “hand shadow artist” who just secured his place in the grand finals of the third season of Asia’s Got Talent, there’s so many things to do rather wallowing in self-pity in the dark. Shadow Ace uses his hands with an impressive skill to create shadows that tell imaginative stories. “I was bullied as a kid. I didn’t have any friends. So, playing with shadows was my pastime growing up,” Shadow Ace told Manila Standard in an interview. He was bullied in school for his weight and for being a wimpy kid who didn’t play any sports. “I only had shadow images as my imaginary friends and I didn’t know that they’d take me to the finals of Asia’s Got Talent,” he continued. He never thought he’d make it because when he joined the show, he was the last to perform during the live auditions and there was a shadow artist that performed before him who didn’t quite impress the judges. “Watching from the backstage, my heart was pounding. I saw the other contestants and they’re really great like the Chinese acrobats. And meron ding sumaling ibang shadow artist at hindi siya nagustuhan. So, you can only imagine how I was feeling when I went out to the stage to perform,” he narrated. During the live auditions, Shadow Ace received a standing ovation from the audience and judges with his unique “hand shadow” performance. From the side of the stage, hosts Alan Wong and Justin Bratton were similarly impressed—so much so that they used their allocated golden buzzer press on Shadow Ace, making him advance to the semifinals. Shadow Ace, a hand shadow artist from Calatagan, Batangas, will be competing in the grand finals on Thursday, April 4, to be held at Singapore’s Marina Bay Sands. “Sabi ko nga, hindi pala pang-Pilipinas lang ang talent ko, pang-Asia pala,” Shadow Ace said alluding to his failed bid to win in numerous local talent shows. Shadow Ace is competing in the grand finals on April 4 to be held at Singapore’s Marina Bay Sands with a chance of winning $100,000. Fans can also vote via Facebook Messenger by clicking ‘Send Message’ button on Asia’s Got Talent Facebook page, or look up Asia’s Got Talent on Facebook Messenger. Click “Get Started” and you will see a photo carousel of the acts eligible for voting. Scroll through the carousel until you see your favorite act, then click to vote. New episode of Asia’s Got Talent airs every Thursday at 8:30 p.m. on AXN. 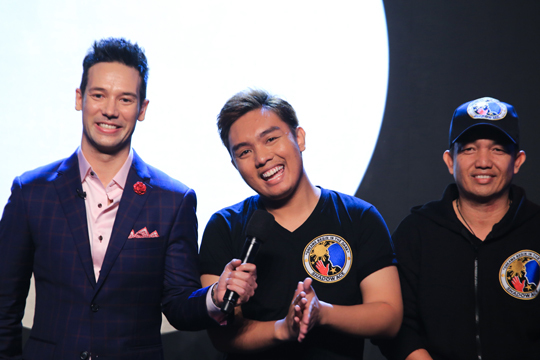 To follow the journey of this season’s acts, check out #AXNAsia and #AsiasGotTalent. 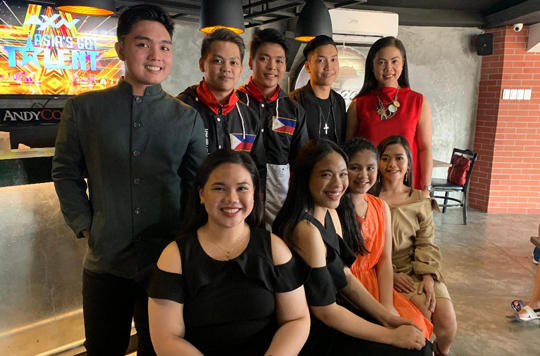 Shadow Ace (leftmost) with other Filipino acts in ‘Asia’s Got Talent,’ HK Sisters, Power Duo, Junior Good Vibes, and Eleana Gabunada. Fourteen-year-old Edgardo Manuel Angara, known by his nickname Manolo, will be competing in a major tournament abroad. The son of Sen. Sonny and Tootsy Angara qualified in the prestigious Junior Davis Cup that will be held in Bangkok, Thailand from April 8 to 13. His team will be competing against other groups in the Asia and Oceana region. 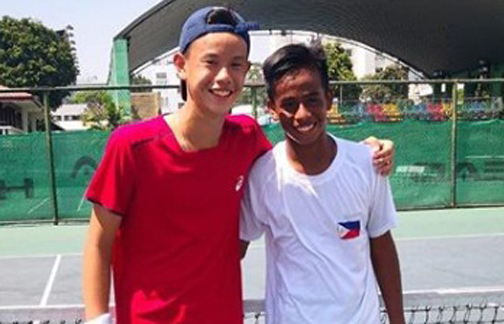 “So proud of our Manolo who made it to the Philippine Junior Davis Cup after winning some grueling qualifiers against the best boys his age,” says his father in an Instagram post. The reelectionist senator also thanked the coaches and other members of the Team Philippines for their help and guidance. “We saw how you worked so hard to get here…waking up at 5:30 a.m. for conditioning and training 2 times a day…you’re strength and motivation is from within!!! Mama has nothing but happy tears,” says his mom Tootsy in a separate social media post. It’s not the first time that Manolo is competing in a major tournament overseas. In 2017, he was part of the Philippine Team that competed at Asian Junior Tennis ATF Under 14, wherein they reached the quarterfinals. Junior Davis Cup, the junior equivalent of the prestigious Davis Cup, is an international team event for best U16 juniors. It has gathered more than 100 countries in the last couple of seasons. Players like Jim Courier, Lleyton Hewitt, Roger Federer, Rafael Nadal, Jennifer Capriati, and Lindsey Davenport have all participated in this event during their years as junior players.